I am so ready for fall - cool weather, colorful leaves, soup, sweaters, and rain! 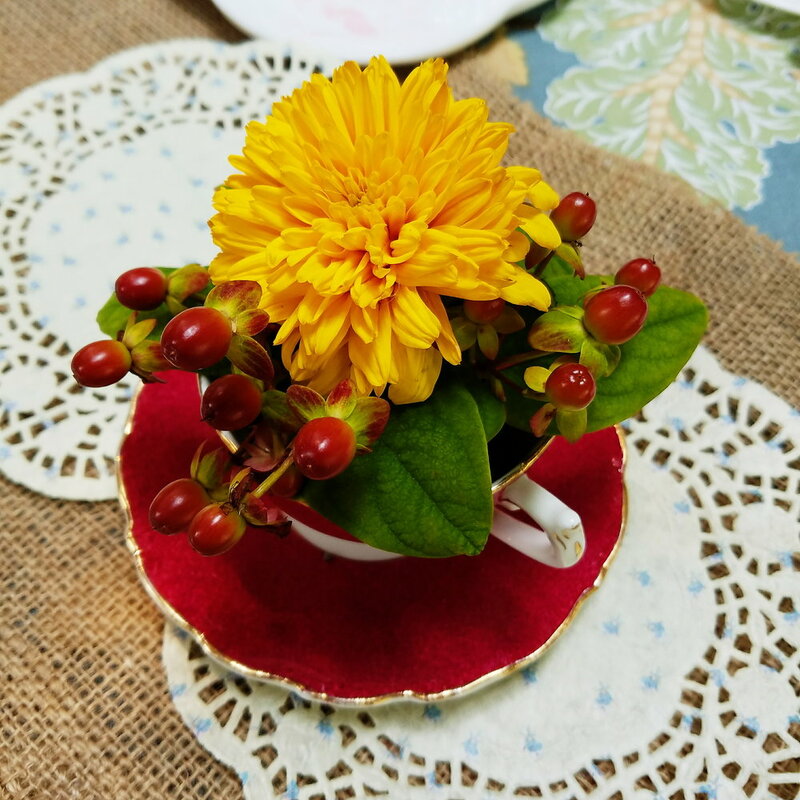 This week started off nicely enough - we'd had plans for a trip over the weekend and both had Monday off work, but we wound up cancelling the plans and instead had a quiet day off close to home. We went for a short hike on a new trail on Squak Mountain, then had lunch accompanied by a few drinks in Issaquah. As we drove south to the trailhead, Mt Rainier could clearly be seen off in the distance, and since the trail description specifically mentioned a good view of Rainier, I was surprised when we reached our destination but were unable to find the mountain. 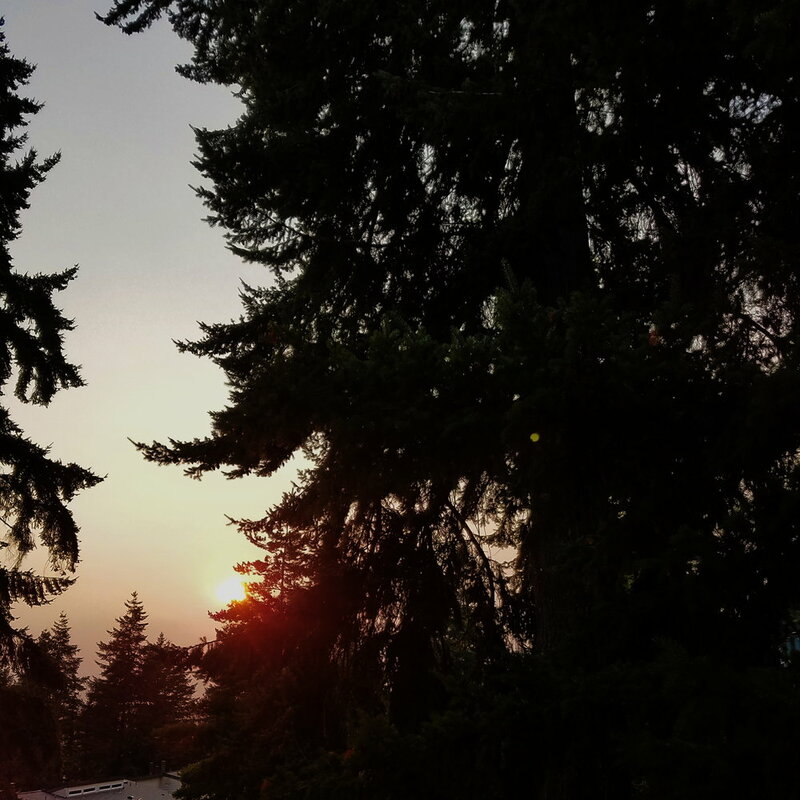 By Monday evening, a haze of smoke from the fires British Columbia had settled in, a haze which only seemed to get worse throughout the week. 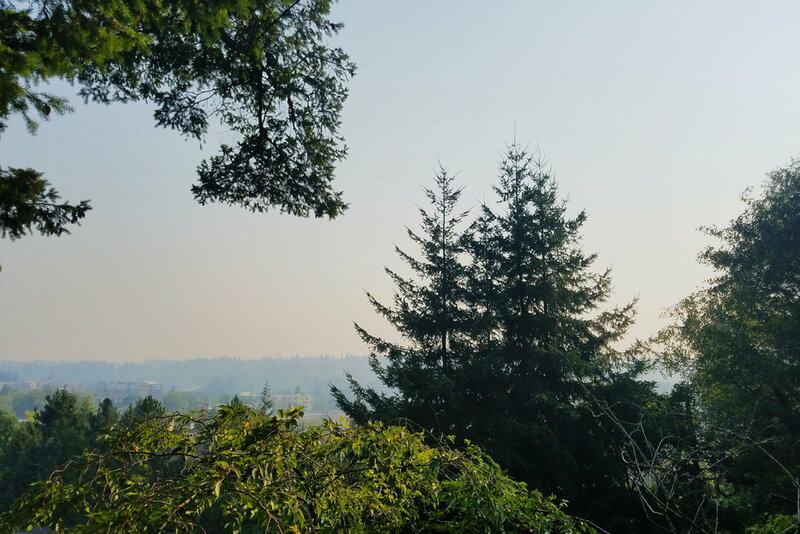 Combined with the oppressive heat (at least to this wimpy PNW native) consistently in the 90s, the smoke meant a lot of time spent indoors over the week. 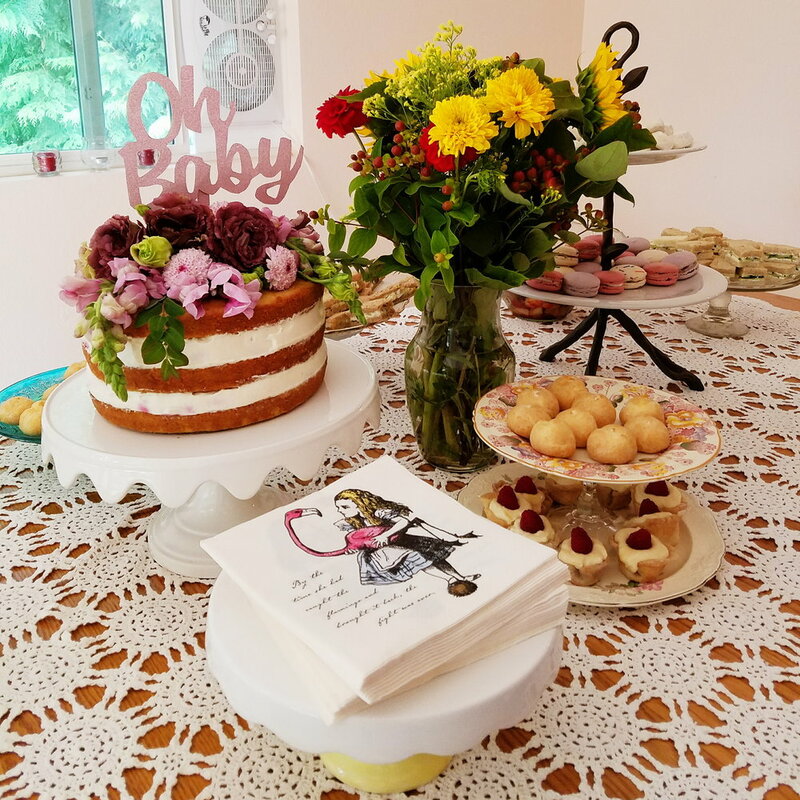 Saturday afternoon, we celebrated my sister's soon-to-arrive second baby with a garden tea party. Even with the heat and smoke we had a lovely time. The star of the show was naturally my two year old niece, who was adorably confused about why everyone was giving her clothing that was clearly too small. I know she'll be an excellent big sister , but having to share gifts and attention with her little sister will be a tough change to adjust to! I've knit a blanket for each of my nieces and my nephew, and I think the one I made this time might just be my favorite. True to form, I failed to take any photos of the finished product, so I'll have to find an opportunity to do that sometime soon, but for now I have a photo of the work in progress to share! Enough of a haze on the horizon to obscure most of the mountains, but this clear view feels like a distant memory!